The next Kenilworth community forum is taking place on Monday October 3 at the Senior Citizens Club in Abbey End. 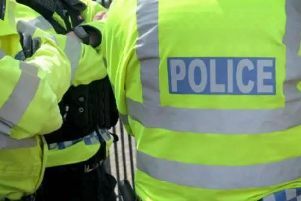 Residents will be able to vote on the town’s policing priorities while at the meeting, and contribute further ideas should they wish to do so. The six priorities for the latest forum focus on high-visibility patrols at schools to deal with inconsiderate parking and burglary patrols to deter would-be criminals in Kenilworth and Burton Green. High-visibility reassurance foot patrols in Burton Green and police surgeries at Burton Green Village Hall. High-visibility school safety foot patrols around St Nicholas Primary School, Priory Road, Kenilworth, at the beginning and end of the school day to deal with inconsiderate parking and other road-related matters. High-visibility school safety foot patrols around St John’s Primary School, Mortimer Road, Kenilworth, at the beginning and end of the school day to deal with inconsiderate parking and other road-related matters. High-visibility foot patrols in Kenilworth town centre to prevent and deal with incidents of theft and anti-social behaviour, and to provide reassurance to businesses and members of the public. Burglary patrols in the St John’s ward area of Kenilworth, including Guy Road, Mortimer Road, Rouncil Lane, Oaks Road, Bullimore Road and Birches Lane. Burglary patrols in the Park Hill ward area of Kenilworth including Glasshouse Lane, Leyes Lane, Dalehouse Lane, Common Lane, Coventry Road and Knowle Hill. At the moment, the burglary prevention patrols are the most popular choices amongst those who have already voted in advance.